To describe and elucidate rates in breast cancer incidence by subtype in the federally designated Mississippi Delta Region, an impoverished region across eight Southern/Midwest states with a high proportion of Black residents and notable breast cancer mortality disparities. 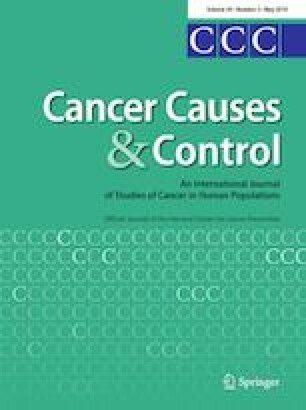 Cancer registry data from seven LMDR states (Missouri was not included because of permission issues) were used to explore breast cancer incidence differences by subtype between the LMDR’s Delta and non-Delta Regions and between White and Black women within the Delta Region (2012–2014). Overall and subtype-specific age-adjusted incidence rates and rate ratios were calculated. Multilevel negative binomial regression models were used to evaluate how individual-level and area-level factors, like race/ethnicity and poverty level, respectively, affect rates of breast cancers by subtype. Women in the Delta Region had higher rates of triple-negative breast cancer, the most aggressive subtype, than women in the non-Delta (17.0 vs. 14.4 per 100,000), but the elevated rate was attenuated to non-statistical significance in multivariable analysis. Urban Delta women also had higher rates of triple-negative breast cancer than non-Delta urban women, which remained in multivariable analysis. In the Delta Region, Black women had higher overall breast cancer rates than their White counterparts, which remained in multivariable analysis. Higher rates of triple-negative breast cancer in the Delta Region may help explain the Region’s mortality disparity. Further, an important area of future research is to determine what unaccounted for individual-level or social area-level factors contribute to the elevated breast cancer incidence rate among Black women in the Delta Region. The online version of this article ( https://doi.org/10.1007/s10552-019-01168-0) contains supplementary material, which is available to authorized users. These data are based on the NAACCR December 2015 data submission. Support for cancer registries is provided by the state, province, or territory in which the registry is located. In the U.S., registries also participate in the National Cancer Institute’s Surveillance, Epidemiology, and End Results (SEER) Program or the Centers for Disease Control and Prevention’s National Program of Cancer Registries (NPCR) or both. In Canada, all registries submit data to the Canadian Cancer Registry maintained by Statistics Canada.